Pull-back and go cartoon truck. Material: Quality Plastic. Package Size: 33.5 x 18.5 x 3.2 cm. 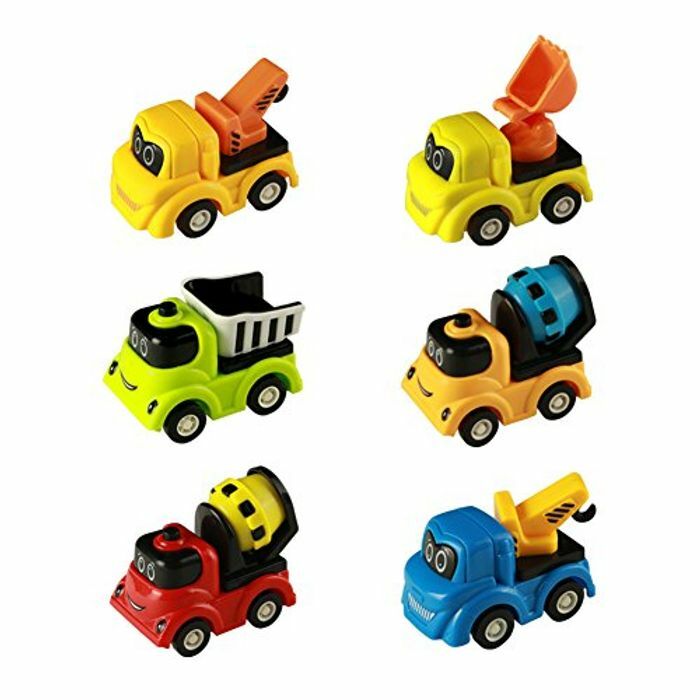 6 Pieces cartoon trucks with different colors. Includes: tow truck,concrete pump trucks,digger truck ,hoist trucks. Random color. Different vehicles, cute eyes, a funny play to expand kids' knowledge scope.Atractive for kids. Encourage to find and explore their interesting things. Develop intelligence for kids and also a perfect present for vehicle lovers.